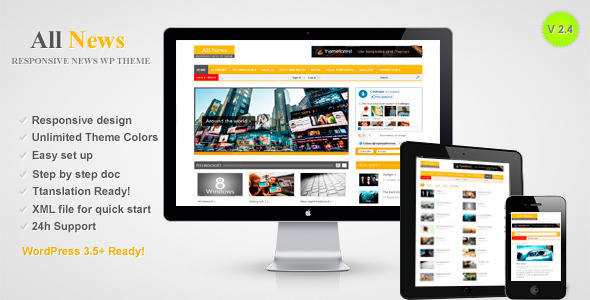 All News is a Responsive WordPress News Theme. With the new 2.0 version of theme has become even more functional, adding 4 new shortcodes for the home page as well as audio support, and now you can easily create your own video or audio portal! In the theme a lot of settings, with which you can easily customize the theme, as you need, also documentation and support attached!